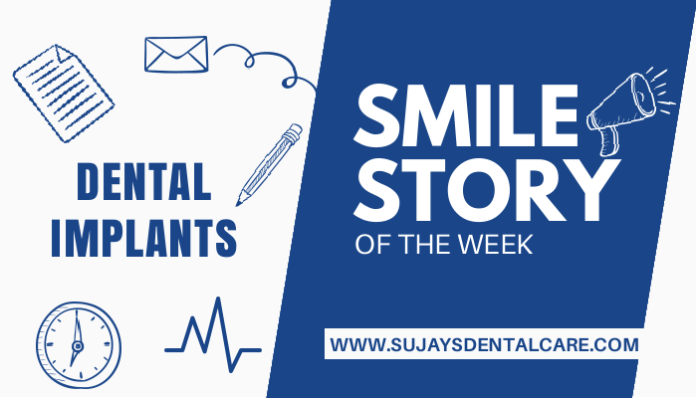 A 40 year old man, complaining of spacing in the upper and lower front teeth had visited Sujay’s Dental Care. After examining OPG x-ray of the teeth, our team of dentists decided to go with restoration of the lower missing tooth using dental implant. Root canal treatment was done wrt 21. Upper midline diastema closure was done using crowns. After all the procedure, he was adviced for a regular 6 months follow up. This entry was posted in Dental Implants, Smile story of the week. Bookmark the permalink.